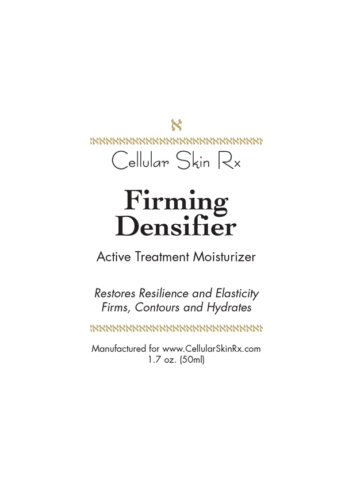 A primary Active Ingredient That Works in Firming Densifier Active Treatment Moisturizer. Evens out skin relief and smooths wrinkles from the inside by rebuilding the skin where it is needed, particularly on the forehead and crow’s feet. Matrikine-like effect that stimulates the synthesis of 6 major constituents of the skin matrix and dermal-epidermal junction (collagen I, III, IV, fibronectin, hyaluronic acid and laminin 5). MATRIXYL® Synthe’6™ is derived from the tripeptide KMK naturally found in collagen VI and laminins. Skincare and make-up designed to fight wrinkles. 3-Dimensional decrease in wrinkles by 31% up to 100%.